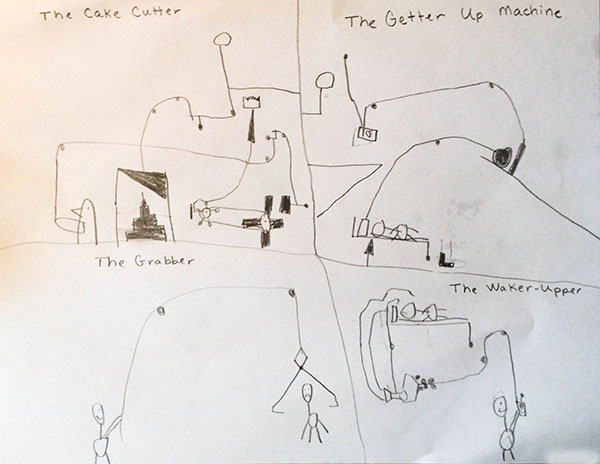 The CoffeeShop Blog: Quick Glimpse of Our Homeschooling Day Today with IEW and Rube Goldberg. Quick Glimpse of Our Homeschooling Day Today with IEW and Rube Goldberg. As I mentioned in this post, I am fortunate to have the opportunity to review IEW's writing, spelling, and grammar program. Duke has been doing the spelling program the last few weeks and so far so good. It is self-teaching and he gets so excited when he gets 15/15 of the week's words spelled correctly. And those words are quite difficult. This week I decided to pull out the writing program. Duke is terrified of writing and I understand because I have the same fears. We watched the first DVD together and laughed at Andrew Pudewa's hysterical jokes. He reminds us of their dad with his corny sense of humor. The lesson was really enjoyable and Duke was eager to get to work. The outline was pretty easy for him. 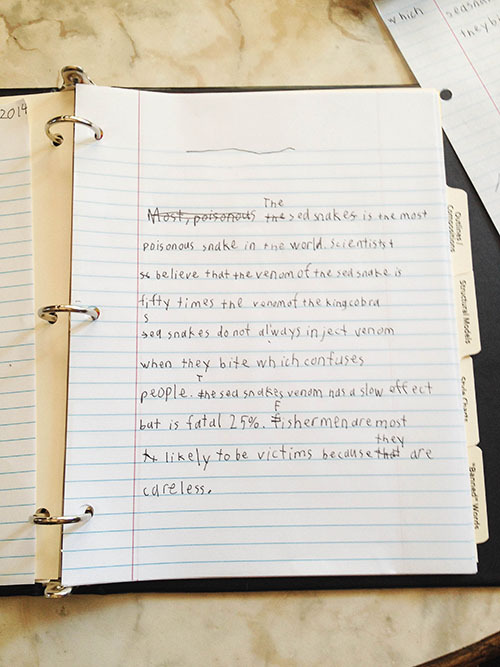 He was able to copy the words so the spelling wasn't an issue. He really hates to spell. He has inherited my horrible spelling along with my fear of writing. I was pretty confident he understood what he had to do next, so I left him to his assignment to rewrite a paragraph using his outline and own words. He was supposed to also combine two outline points with a "which". I came back later and this is what he had written (I had to spell "confuses" and "people" for him). He rewrote two outline points into one sentence using a which but forgot to capitalize the first word. I looked it over and said "ok, now go ahead and rewrite the rest of the paragraph using your outline. He looked at me and yelled "You didn't tell me I had to write everything!". This is a boy who usually doesn't raise his voice so I was a bit confused. I gentle told him we were following the directions on the DVD and he needed to finish writing the paragraph in his own words. At that point he burst into hysterical tears. I was shocked at first but then realized the problem. Many things in school come really easy to him. 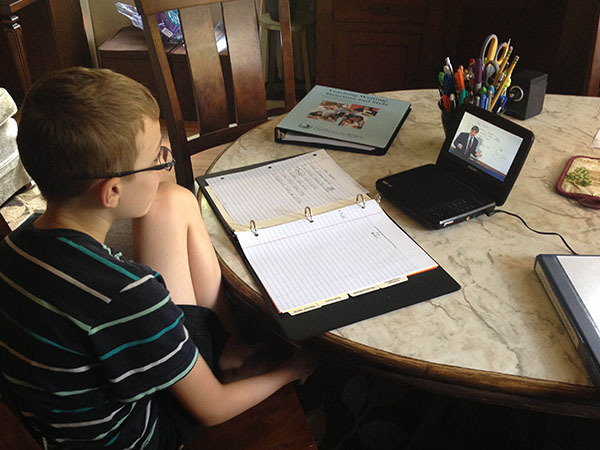 He self-teaches himself math using Math Mammoth and he loves science and history. He has almost a photographic memory and can look at most things and figure out how they work. But writing was challenging and something that he actually had to work on and he didn't like it! I hugged him and explained that this was the first day of writing and he didn't have to put so much pressure on himself. I told him that many people are intimidated over math and science, both of which are fun and easy for him. I explained he needs to take it slow and I was there for any questions. After a small snack (he IS a boy) he was back at the table ready to write. This was the first rough draft. 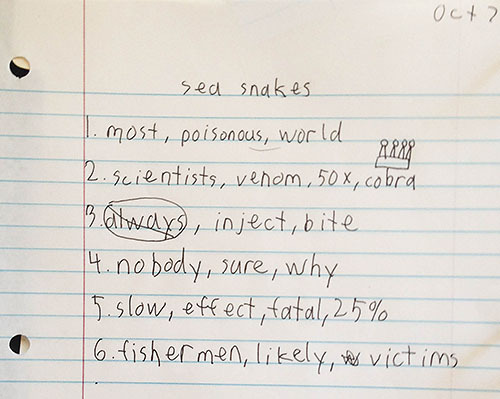 He asked me how to spell almost every word that was not in his outline, but that was to be expected as I know he wants to have perfect spelling. 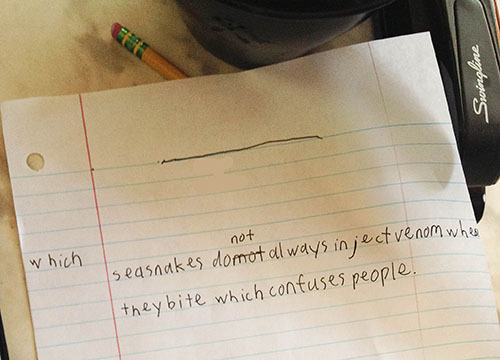 So what was the seven year old doing while his older brother was agonizing over the spelling of "has"? He was looking at his favorite book. 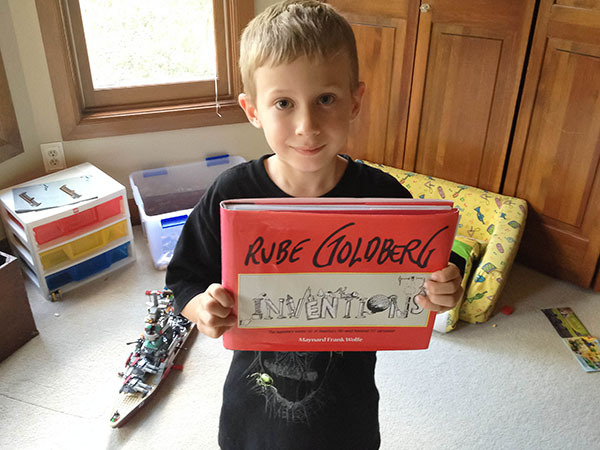 Imp and Duke are passionate about Rube Goldberg: Inventions! . Rube Goldberg was an "invention" genius who would illustrate the most incredibly insane ways to do the most simple tasks. 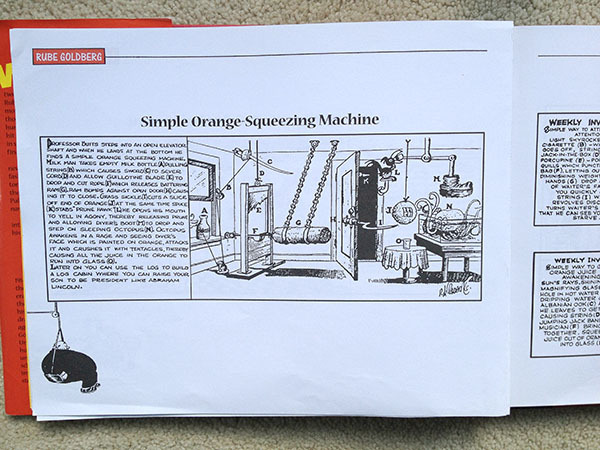 This photo shows the steps to develop a simple orange-squeezing machine. If you want a laugh grab this book and read it over with your kids. It is hysterical and our book is so well-read the pages are falling out. This book encourages Imp to design his own crazy and useless inventions. I have to write the titles down for him, but the rest of the work above is all his. These are pretty tame compared to the machines he invents to decapitate "evil" penguin-eating leopard seals. He loves penguins with a passion and a few years ago I made the mistake of letting him watch a PBS penguin special that briefly showed them getting snacked on by seals. This infuriated him and he draws these horrid pictures of seals getting their heads cut off, blown-up, shot, you name it; blood gushing everywhere, with penguins off to the side saying "Ha ha! ".